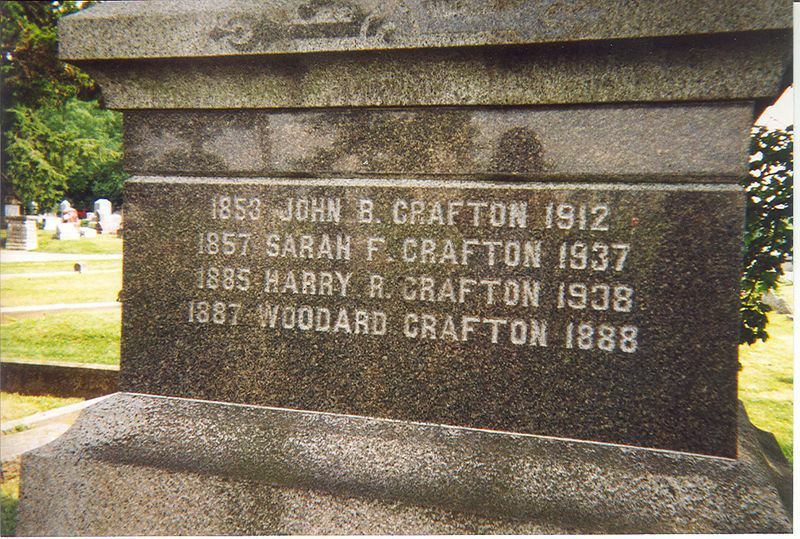 John B. Crafton died in the sinking of the Titanic. 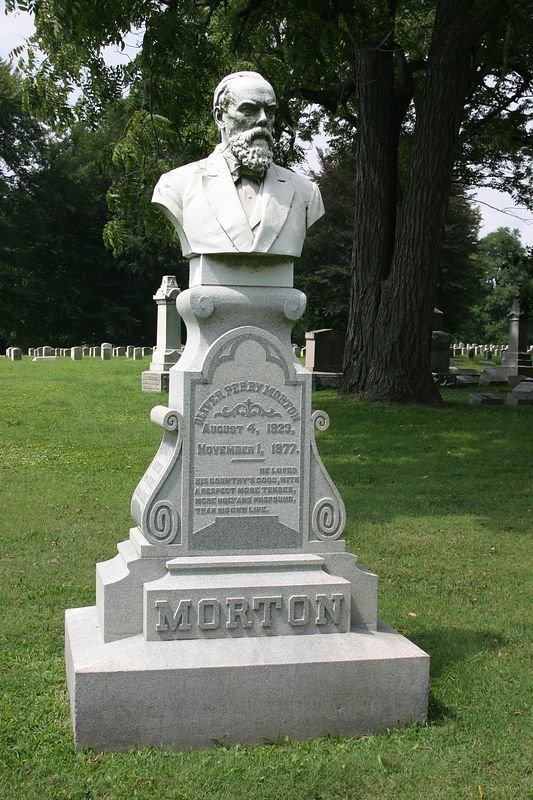 His body was never recovered, however his family granite stone monument is in Rose Hill Cemetery in Bloomington. See next two photos. Crafton's last residence was in Roachdale, Putnam County. J.B. Crafton, 1912. "Lost on the Titanic". Bloomington, Indiana City Cemetery. 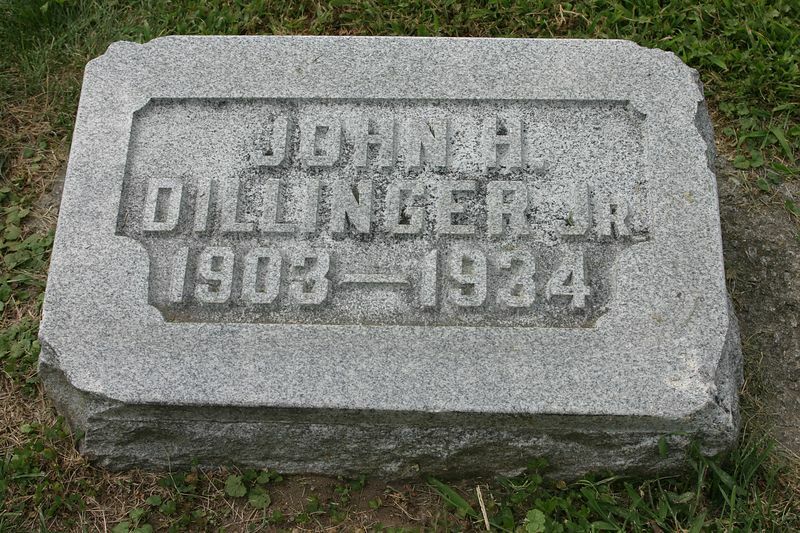 John Dillinger, Bank Robber, 1903 - 1934, Crown Hill Cemetery, Indianapolis. Also, see next photo. 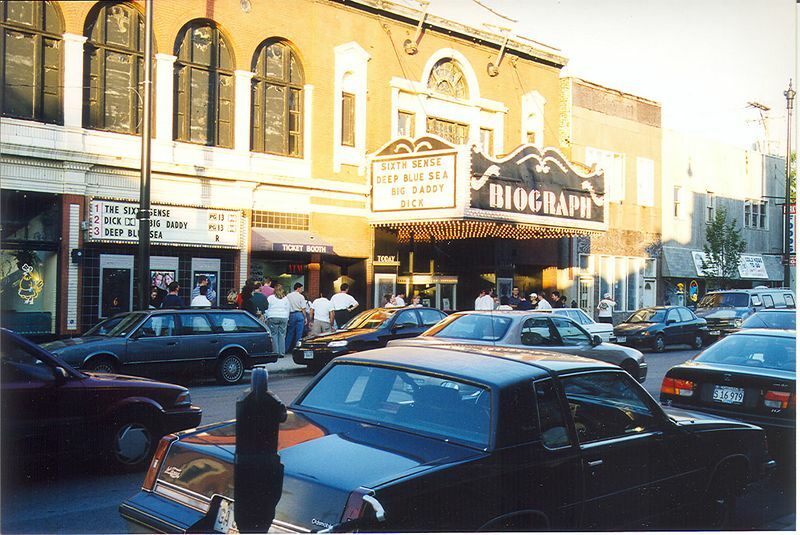 Chicago's Biograph Theatre where Dillinger was killed in 1934. 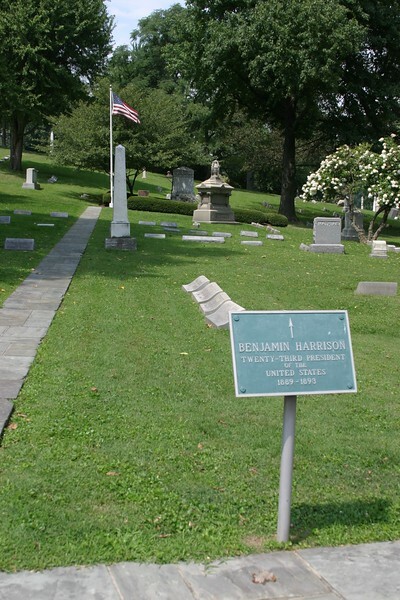 Benjamin Harrison, 23rd U.S. President, 1833-1901, Crown Hill Cemetery, Indianapolis. 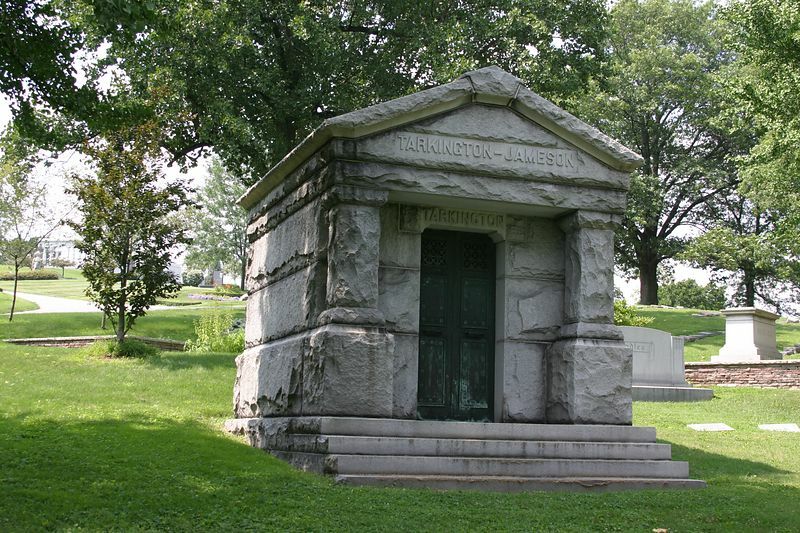 Booth Tarkington, Novelist and Playwright, 1869 - 1946, Crown Hill Cemetery, Indianapolis. 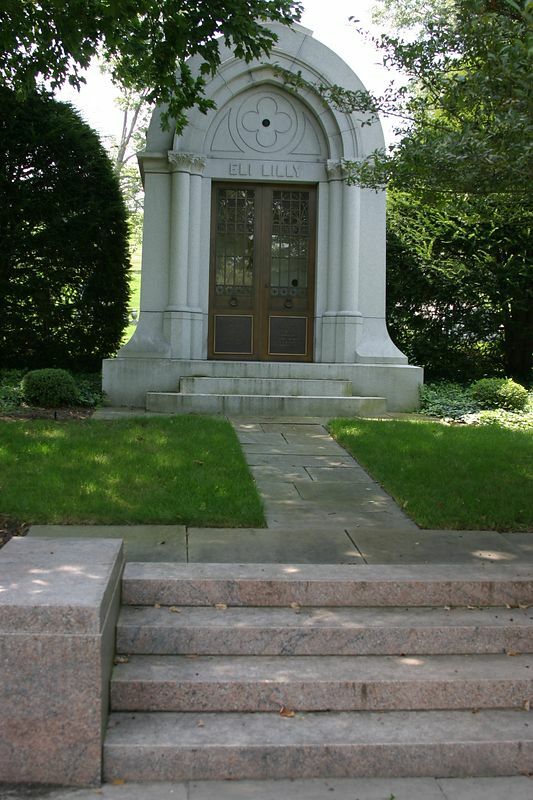 Eli Lilly, Founder of Eli Lilly and Company, 1838 - 1898, Crown Hill Cemetery, Indianapolis. 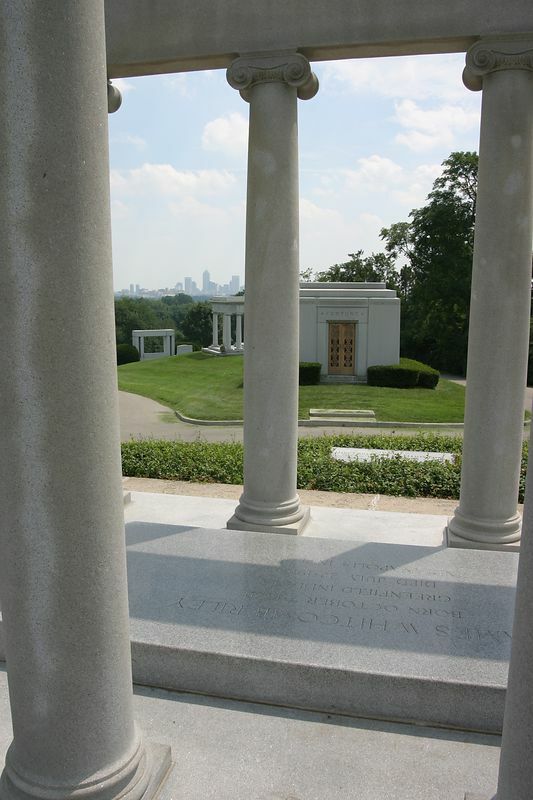 James Whitcomb Riley, Hoosier Poet, 1849 - 1916, Crown Hill Cemetery, Indianapolis. Downtown Indianapolis Skyline in background. Oliver Morton, U.S. Senator and Indiana Civil War Governor, 1823 - 1877, Crown Hill Cemetery, Indianapolis. 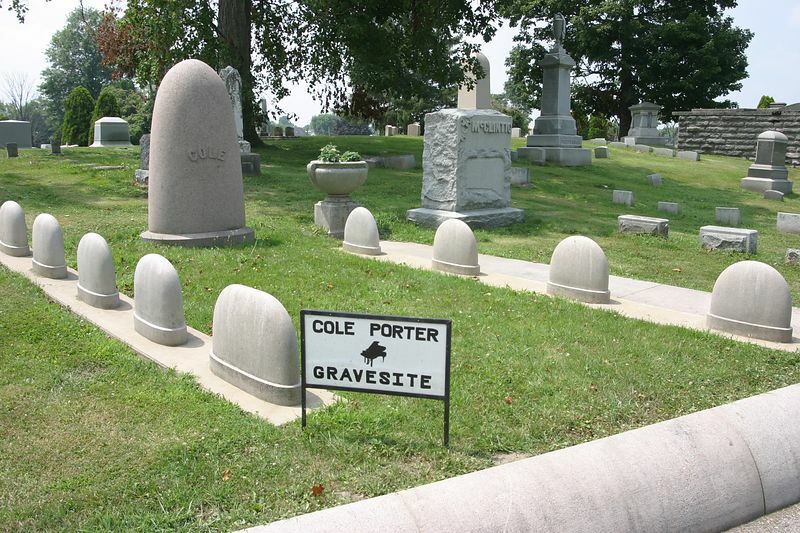 Cole Porter gravesite at Mount Hope cemetery in Peru, Indiana. 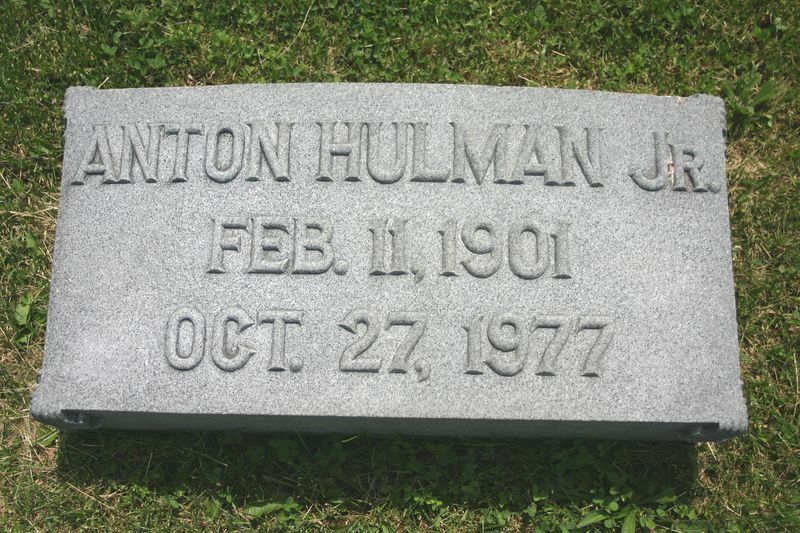 Anton Tony Hulman, Calvary Cemetery, Terre Haute, Indiana. 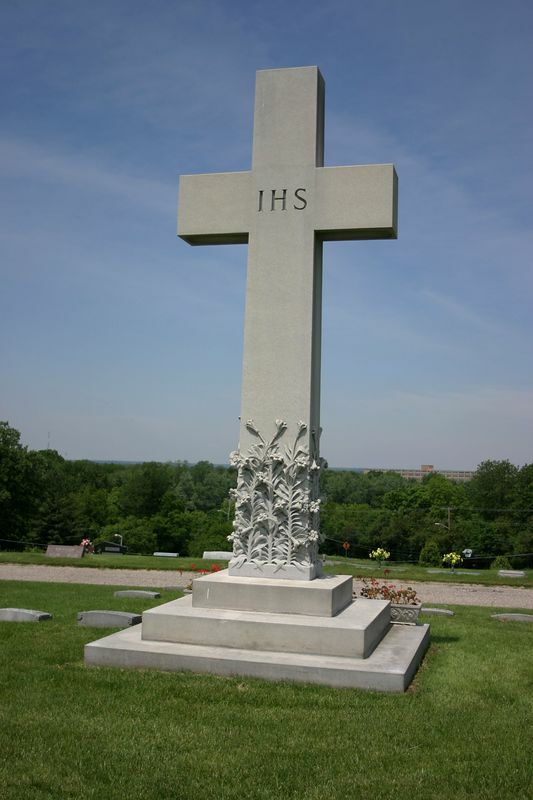 Max Ehrmann is buried in Highland Lawn Cemetery, Terre Haute, Indiana. 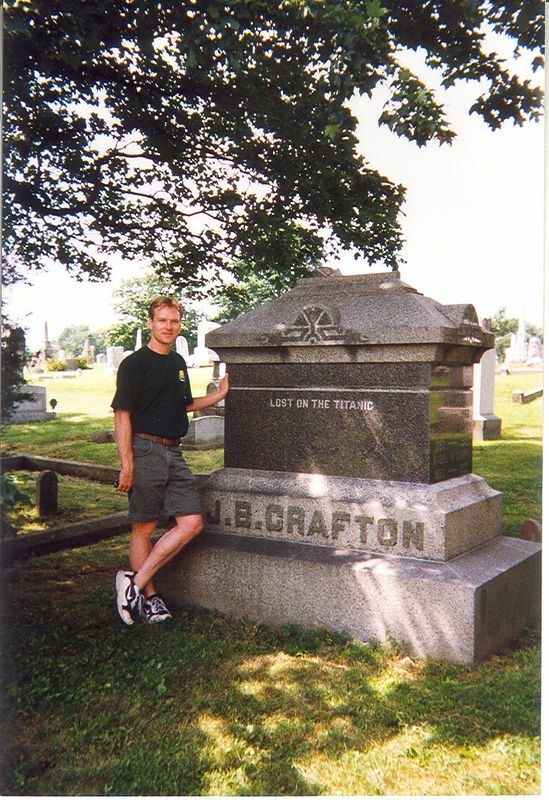 I photographed his grave marker in April 2008. Max Ehrmann was born in Terre Haute, Indiana on September 26, 1872, to a an emigrant family from Bavaria, Germany. 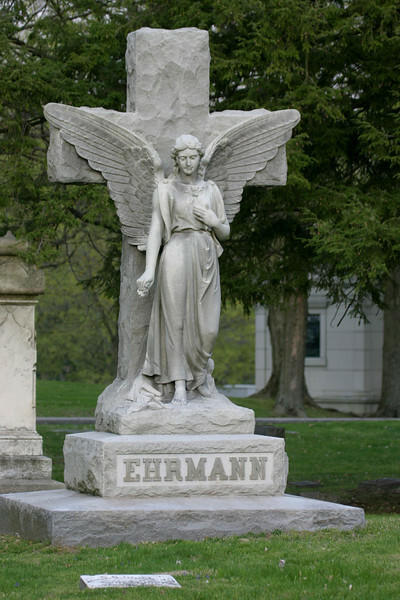 Ehrmann received his early education from the Terre Haute Fourth District School and the German Methodist Church. Upon graduation, Ehrmann studied law and philosophy at Harvard and edited 'The Rainbow', a national college fraternity magazine. It was at Harvard, that he published his first book, A Farrago, in 1898. Ehrmann practiced law as Deputy States Attorney for two years. He then worked for a number of years as credit manager and attorney for his brother's manufacturing business. 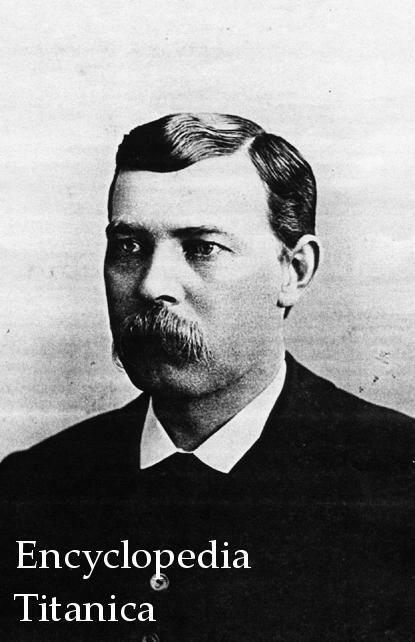 At the age of 40, Ehrmann left the family business and returned to writing full-time. Throughout his career, he wrote more than 20 books and pamphlets and many essays and poems that were published separately in newspapers and magazines. His most acclaimed work was "Desiderata", originally published in 1927. "Desiderata" has been published in numerous magazines, newspapers, and anthologies and was produced as a single record by Warner Brothers in 1971. Max Ehrmann died in 1945, well before "Desiderata" gained its popularity. The poem was popular prose for the "make peace, not war" movement of the 1960s. By the way, Desiderata is Latin for "Things to be Desired." Today, Ehrmann’s Desiderata — first published in 1927 — is among the world’s most popular poems and even won a Grammy Award in 1972. Now reproduced on posters, plaques and greeting cards, the message provided by Desiderata assures Ehrmann an eternal niche in American popular literature, a rank he long has warranted. Max Ehrmann was once a fixture at the corner of Seventh Street and Wabash Avenue in Terre Haute, sitting and watching people pass. Fans of his beloved poetry should soon find Ehrmann’s image there again. A group in Terre Haute, his hometown, is working to establish a memorial to Ehrmann on the northwest corner of Seventh and Wabash. This group, the Cultural Trail Alliance, includes interested citizens from a variety of local arts, historical and civic agencies and organizations. Their goal is to create a lasting tribute to Ehrmann and his works, and later do the same for Terre Haute’s other internationally known icons, such as Eugene V. Debs. The alliance’s plan calls for a bronze sculpture of Ehrmann, seated on a park bench. A few memorable passages from his renowned “Desiderata” will be set in bronze and embedded into the path leading to the bench. Visitors will be able to sit down next to Max and read the full text of that poem — a call for peace, serenity and understanding — positioned in a bronze plaque near the foot of the bench. Terre Haute artist Bill Wolfe crafted a maquette of the proposed Ehrmann memorial for the Cultural Trail Alliance, and he is poised to build the actual seated statue. First, the group must secure funding and donations from potential contributors. The alliance is operating under the umbrella of Wabash Valley Art Spaces, a nonprofit organization that develops public outdoor sculpture throughout the area. Their target is to have the project completed by late October. Ehrmann represents a positive link between Terre Haute and the world. We urge individuals, businesses and other entities to actively assist the alliance, and give Max a permanent spot at the Crossroads of America. 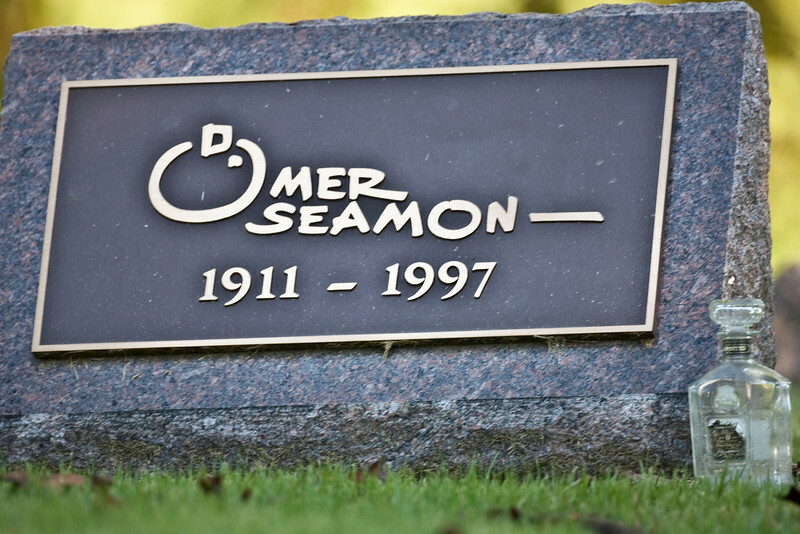 Omer Seamom, Famous painter and artist from Terre Haute, Indiana. Buried in Highland Lawn Cemetery in Terre Haute.